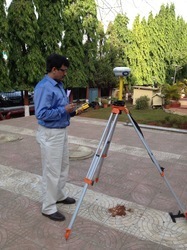 Established in the year 2011, we, Pramitee Engineering And Surveys Private Limited, are one of the most reputed organizations engaged in offering reliable and effective Construction and Engineering Survey Services and we also provide service for Coordinate Verification For NOC From AAI (NOCAS). 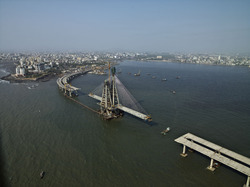 We are the Registered agency for AAI Height Clearance. Our offered services are effective and are executed within the stated period of time with the help of expert & proficient professionals. To maintain their reliability and effectiveness, we apply the latest methodologies, equipments and superior quality accessories in rendering these services. These services are rendered by our experts professionals who hold specialization in this field. We are associated with a wide network across India, which makes us able to execute our services effectively. Due to our reliable services, we have earned a strong reputation in the field of Surveying and further, we have extended our client base and won the faith of many reputed customers. We are on the path of continuous success and growth under the leadership of our mentor and guide, 'Mr. Chandra B Pandey', who holds immense experience in this field. His excellent entrepreneurship and guiding skills have helped us in attaining our organizational goals. 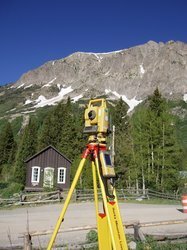 We have attained immense expertise in the field of surveying which assists us in offering superior and reliable Construction and Engineering Survey Services to our clients. Our team has years of experience and is proficient to offer innovative solutions to meet with the varied clients'' needs with precision. The team conducts a lot of research and updation to make sure that the requirements of our clients are fulfilled without compromising with the quality. In order to make sure that these services are executed with any defect, we render these in prompt, efficient, accurate and streamlined manner. We are backed by experienced and diligent industry professionals who act as the backbone of our organization. These professionals are well qualified and hold expertise in their respective areas. They use their expertise in rendering various services as per the specifications provided by our customers. Our professionals maintain a healthy atmosphere at working area by coordinating each other to meet with the clients' demands. We conduct workshops and training sessions time to time to enhance the work skills of our professionals. We have become the first choice of our customers by offering qualitative and simplified survey services as per their requirement. Our experienced, expert and specialized approach has assisted us in maintaining our wide client base and our honesty has supported us to win the trust of our customers.